Volkswagen India Private Limited, a completely owned subsidiary of the German auto maker, has launched the much awaited Polo GT TSI on April 29, 2013. Interestingly, not only do the petrol and diesel engines provide a more spirited performance on the road than the previous 1.6 version, but these are also more fuel efficient. 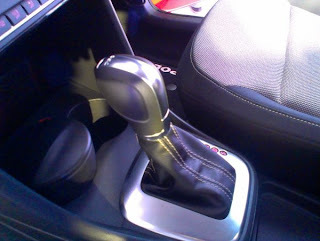 In addition, a new cutting edge 7-speed Direct Shift Gearbox (DSG) has been installed in this powerful hatchback. With the new 1.2 litre TSI petrol engine, the Polo GT can accelerate from 0 to 100 kmph in just 9.7 seconds and boasts of a top speed of 190 kmph. The car generates a maximum power output of 105 bhp and a peak torque of 175 Nm, making it the most powerful in its segment. The new Polo's accessories include a GT badge on the front grille, hill hold function, sporty pedals and Electronic Stability Program (ESP). On the inside, it gets superior grade 'Milan' Titanschwarz fabric upholstery, a leather wrapped steering wheel, a leather wrapped gear shift knob and handbrake lever, sunglasses holder in the glove compartment and a 12V charging outlet in the central console. The new Volkswagen Polo GT is priced at Rs. 7.99 lakh (Ex-showroom, Delhi). Speaking at the launch of the new Polo GT power hatch, Arvind Saxena, Managing Director (MD) of Volkswagen Passenger cars, Volkswagen Group Sales India Private Ltd., said, “In the current market scenario, fuel efficiency has become vital for every customer looking at purchasing a new car. Under these circumstances we strongly feel the need to provide our customer with a choice to opt for an efficient petrol car. 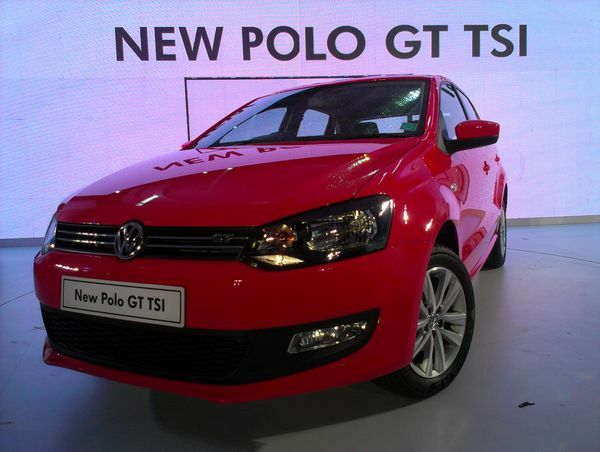 The Polo GT TSI is the perfect answer with maximum power and minimum consumption.” Reportedly, this vehicle gives a fuel efficiency of 17.2 kmpl. Volkswagen's revolutionary new TSI engine is capable of providing high torque even from low engine speeds of 1500 rpm. Direct Petrol injection and compressed air intake are combined with a turbocharger, in order to provide a high mileage figure. With the above two refinements, this vehicle offers both high acceleration with superior fuel efficiency than the previous model. 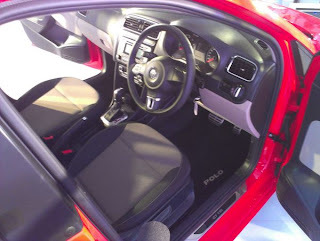 During the year 2013, Fiat is expected to launch a 140 bhp Punto Abarth, which would be more powerful than the new Polo 1.2 GT TSI. However, it appears that the new Polo, at present, has the capability to dethrone Maruti Suzuki Swift from the position of the best premium hatchback in the country. In all fairness, the two models would pose some stiff competition to each other in the market.